However, it also not shaped like a seal, an armadillo, or the state of Michigan. In addition, of the two things in the set, there appear to be three of them. Thanks for the post, Stephanie! YSaC, Vol. 1249: It’s poultry in motion. YSaC, Vol. 655: Rines, Sally, Rines! Cat math and seal semiotics in one ad. I’m impressed. Seal Semiotics is my Modern English cover band. No! It’s the name of my Musicology 406 Class: Analytical Semiotic Theory of the Seal Discography. It’s only two objects — the giant seal has bitten off the Upper Peninsula. 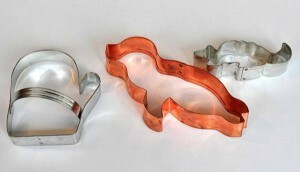 If only I could find seal, armadillo and mitten shaped COOKIE CUTTERS……if anyone comes across some please let me know. Thanks. I was going to say that. How can people not recognize cookie cutters? You both beat me to it, and I would love that seal cookie cutter. But no baby seal cookies….that would be cruel. It’s a trap! Beware the spinosaurus! Only one item has this handle. 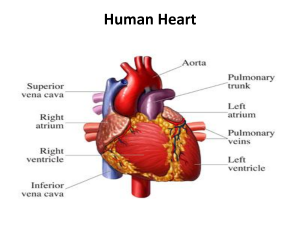 If a person had a heart shaped like a mitten, I think their cardiologist would be set for life. Ah, Heart Like a Mitten. I listened the hell out of that Jewel album all through college. Good times. When I was a kid, I had inter-mittens. Are pancake rings the new candy necklace? Pancake rings? I don’t know about YOUR pancakes, but mine never had fingers or ears. Imagine if they had these shapes, instead of the round ball-shapes. C””J, out of the box! The Cap’n and noJazzy have tickets, and you know what that means. Punchity Punch Punch! Wink, wink, nudge nudge, say no more! All I can say is WTF. You should have used the wtf tag. All the hearts I drew in grammar school were lopsided. Not quite as lopsided as the mitten cookie cutter, the thumb would be a bit more swollen. Like when I accidentally slammed my thumb in the lid of my coffin. ? I feel like a bowl of petunias. Well, OMV, if you feel like a bowl of petunias, go ahead and EAT a bowl of petunias….nobody’s stopping you, for crissake!!!!! There, there, One. It’s all better. Mmmm, this is good seed! I have often said and I must say yet again “the only difference between genius and stupidity is that genius has its limits”. Mistaking a mitt for a heart shape, mistaking cookie cutters for egg/pancake rings once again proves the genius of my statement. Of course, the stupidity of it is that I keep on saying it, hoping that some of the stupid might read it and think “Oh, this applies to me. I should shut up now.” Yeh, right ?? The ad poster could be my mother-in-law, who once bought “Christmas cookie cutters at at great price” as a present for one of our nieces…. MiL was not happy at our guffaws and pointings-out they were Star of David, shofar, and dreidel shapes. Sister-in-law (gift recipient’s mother) later showed us a Santa cookie creatively patched together from those molds. I would have liked to see that! Awesome SiL!